The Aluminum Bronson R is an incredible bike with an elite level build kit. Experience an amazing ride without spending the couple extra grand for the carbon frame. A Rock Shox Yari fork and Rock Shox Super Deluxe rear shock provides a supple and smooth ride, the SRAM NX Eagle 12-speed drivetrain provides all the gears you need to make it up the steepest climbs, and Guide T brakes provide incredible stopping power when descending those steep chutes. Can I swap over the forks to the Fox 36 ? We often work with our customers to build their dream bikes just the way they want them. I'd recommend giving our Gear Advisors a call, 888-880-3811. They can help you customize your bike setup to meet your specific needs. 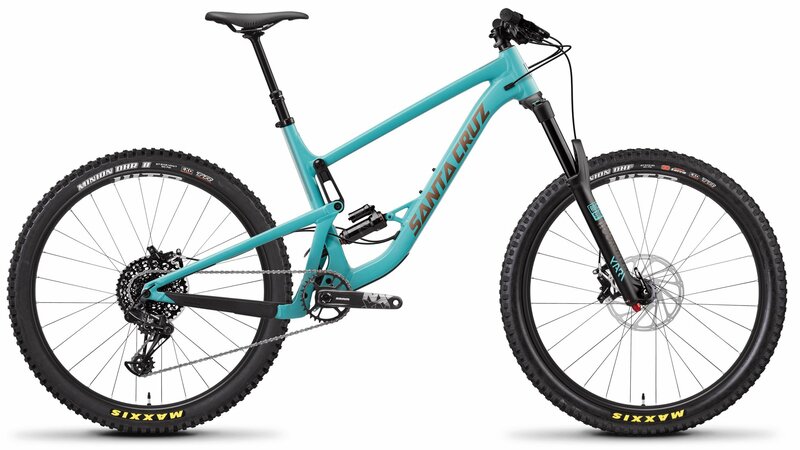 We, currently, only sell Santa Cruz bikes through our brick and mortar stores.